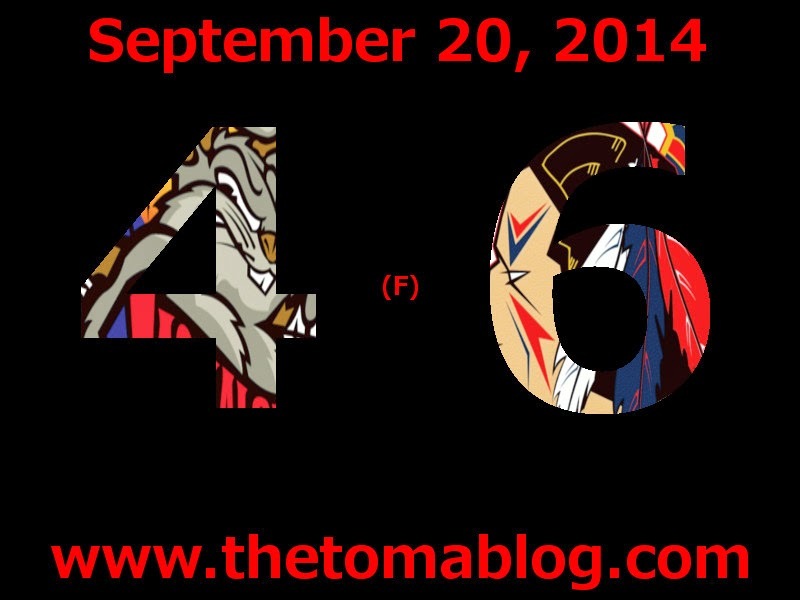 It wasn't a pretty game for the Tomahawks, but they found a way, and that's all that matters right now. Johnstown, having to come back in the game a couple of times found a way to beat Odessa 6-4. Johnstown only had one power play goal (though NAHL says they didn't have any) and that power play became the game winning goal. The game had ten goals between the two teams, and it also featured a fight. In the second period, Logan Hudson laid a huge hit at center ice. Odessa's Jake Hamilton jumped Hudson for the hit and the two began to exchange blows. Hudson received the automatic fighting major and ten minute misconduct while Hamilton got an extra instigator and game misconduct for the fight. Johnstown outshot Odessa 34-22. 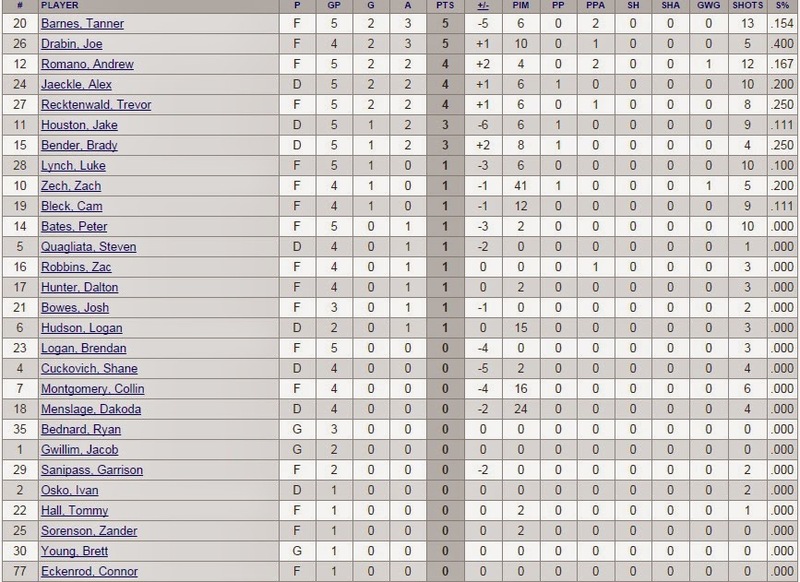 Odessa was 1 for 8 on the power play and Johnstown was 1 for 8. Ryan Bednard picked up the win for the Tomahawks which is Bednard's first NAHL win. We'd write a detailed goal-by-goal summary but with so many goal, we forget how a couple of the goals went in, so instead here's the boxscore goal summary. The Tomahawks now have a record of 2-3-0 on the young season. 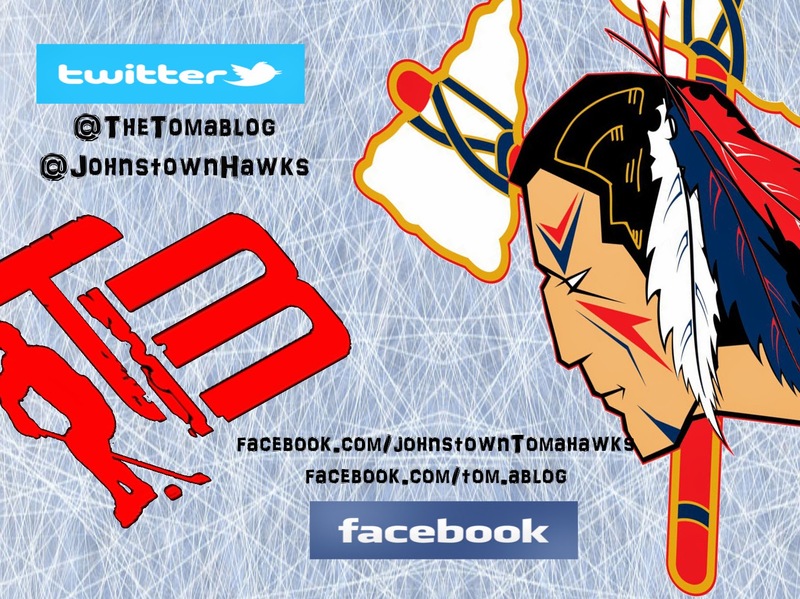 To compare, after five games in 2012-2013 Johnstown's record was 1-2-2, and after five in 2013-2014 was 1-3-1. The Tomahawks are back in action next weekend when they take on the 0-4 Michigan Warriors in Flint Michigan. 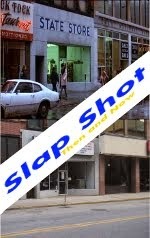 These are the only games that were final at the posting of this blog.